Through his extensive discography, which includes five full-length albums, countless singles and remixes, and numerous EPs across diverse genres on various labels from Republic to Armada, tyDi has topped global charts, toured the world and made an indelible mark on the music world. Last year, the prolific Australian producer/DJ made waves with his acclaimed collaboration with Grammy-winning composer Christopher Tin, resulting in the epic album Collide, ‘a masterful navigation of orchestral and electronic elements’ according to Dancing Astronaut. The album also received accolades in DJMag, The LA Times, as well as placement on Friday Cratediggers and New Music Friday USA Spotify playlists, and hit both the Billboard dance and classical charts. tyDi has also collaborated with the Grammy-nominated singer JES, trance music legend Andy Moor, producer Matt Fax and many more. A blissful balm of a song, tyDi’s recent single ‘It Will Be Okay’ has been called ‘a progressive trance anthem for the ages’ by Dancing Astronaut. The song received a significant 2K pre-saves on Spotify, as well as airplay on SiriusXM BPM, iHeartRadio Evolution, Nexus Radio and Dance Factory Chicago. ‘Sunrise’, a song from his chill side project Wish I Was, was added to SiriusXM Chill and hit #1 on blog aggregator Submithub’s electronic chart. tyDi has also contributed his own reimagined arrangements of some Disney most beloved anthems for the current 'Disney on Ice' world tour. He has also composed commercial music for Stella Artois, Quickbooks (their 2019 Oscars ad) and Swarovski TV ads. He’s composed music for an acclaimed PSA campaign for The Make-A-Wish Foundation. 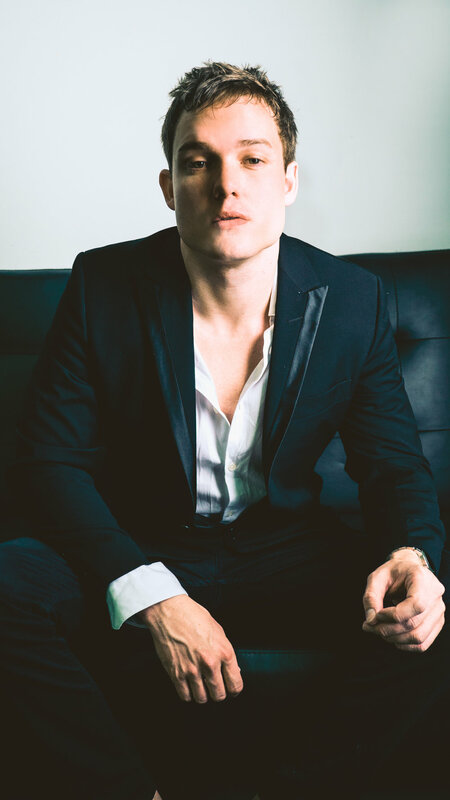 For his film/TV/ad work, tyDi is represented by Fortress Talent Management. tyDi has 1 million aggregate social followers, over 25 million Spotify streams and over a 1 million YouTube views. He is also an expert at engaging his fanbase on his socials, garnering huge responses to his posts and promotions, with thousands of likes/comments/shares. A remix contest run in conjunction with Splice.com was incredibly successful with 7,100 plays of the track, 1,600 downloads of the stems, and 137 total submissions. Hitting the electronic music scene only a few years ago with the melancholic underground hit 'Cutting Ties' (over 2 million streams), tyDi's side project Wish I Was has since released 2 densely evocative, yet supremely danceable albums, garnering major support from tastemaker outlets like Sirius XM Chill and Mr. Suicide Sheep on the way. Wish I Was is one of the most played artists on SiriusXM Chill radio, with three songs hitting #1 in research there. The two most recent Wish I Was single also hit #1 on the electronic chart on the blog aggregator Submithub. For fans of: Maya Jane Coles, Zhu, Nora En Pure, Hayden James, Elderbrook, Lane 8, Moon Boots.